One of the most important things you can do to insure your rabbit’s health is to select a veterinarian who is experienced in performing rabbit surgeries. This vet should be familiar with characteristics unique to rabbits including: sensitivity to anesthesia, particularly delicate internal tissues, and the tendency for rabbits to form adhesions. Gas anesthesia is by far the best choice. Isoflurane, and the more recently available sevoflurane, are the anesthesia gasses safest for rabbits. Halothane should not be used. Administering the gas anesthesia to put the rabbit under (induction) can be somewhat difficult. Some rabbits are extremely stressed in new situations, many will hold their breath when they smell the isoflurane, and most will go through an “excitement phase” prior to becoming anesthetized. Due to this, many vets will use an induction box that safely restrains a rabbit. Others will hold a mask (termed mask-down) over the rabbits face to anesthetize the rabbit. Some will administer a sedating injection before placing the rabbit in the induction box or masking. The injection often used is Ketamine (or a combination including Ketamine.) In our experience, a pre-anesthesia injection usually delays a rabbit’s return to normal, particularly appetite and digestion, by 1-2 days. One factor may be that Ketamine can slow gut motility. We prefer to avoid using any injectable anesthetics. Sutures are used both internally to close muscle layers and join tissues together, as well as externally to close the incision. There are two types of suture material: dissolvable and non-dissolvable. Metal staples or skin glue/tissue adhesive are also often used for skin closures. When used externally, non-dissolvable sutures and staples will require a return visit to your vet for removal. Because rabbits are fast healers, skin sutures can often be removed in as little as seven days. After ten days they can become imbedded in the newly healed tissue. When the non-dissolvable type of suture material is used, many rabbits are inclined to excessively lick or chew at their skin sutures. Therefore, many vets will close the incision using dissolvable sutures in an intradermal/subcuticular (within the skin) method. You may feel the end knot or a lump just under the skin but these do not bother most rabbits. Staples are also well tolerated. Some rabbit vets prefer to use glue to close neuter incisions. Most rabbits do not lick excessively and a return visit is not required. Leaving the scrotal incision open does not work well in our experience. Infection resulted in two out of three cases. Scar tissue normally forms to heal tissues together. However, when it joins two or more areas of internal tissue together that should otherwise be separate, it is called an adhesion. Adhesions, if extensive or in particular areas, are serious and can become life threatening. Some rabbits have been known to start adhesion formation within hours of abdominal surgery. The causes of adhesion formation in rabbits are not entirely understood. However, due to the extremely delicate nature of rabbit internal tissue, any excessive or forceful manipulation during surgery can lead to adhesion formation. Additionally, it appears a rabbit’s rapid and strong immune system response to foreign bodies, such as suture material, is a major factor. Therefore, it is extremely important a veterinarian use a low-reactive, absorbable, polymer internal suture material. Metal clips are also useful for certain applications. As with other rabbit behaviors, the expression of pain may be subtle. Perhaps due to this, for many years veterinarians believed medications to relieve pain were unnecessary. However, advances in rabbit medicine have shown the importance of minimizing pain. A rabbit in severe pain will not eat. This can lead to gut stasis and a host of accompanying problems. Therefore, alleviating post-surgical pain is very important. Often a veterinarian will administer an injectable pain medication right before a rabbit goes home. Pain relief can last from 4-12 hours based on the medication given. Depending on the type of surgery (including spays), you should discuss with your vet any additional pain medications, which might be needed once this initial dose wears off. Some pain medications can be given orally if you are not comfortable giving subcutaneous (sub-q: just under the skin) injections. However, keep in mind a recovering rabbit may not readily eat an oral medication and forcing your rabbit to take it may be difficult or unwise. All injectable medications can be given subcutaneous rather than intramuscularly. If done properly, sub-q injections do not cause as much discomfort as those within the muscle. Many times a rabbit won’t even know they have received one. You will need to discuss what type of pain medication will be dispensed and its administration with your vet prior to your rabbit’s surgery. The vet or a vet tech can show you and help you practice sub-q injections beforehand, when you and your rabbit are not stressed from the surgery. Frequently used medications include Banamine (flunixin or flunixamine) and Torbugesic (butorphanol). Both are available for oral or injectable use and each has its benefits and drawbacks. We prefer to use Banamine because it lasts longer, usually 8-12 hours. One injection is often sufficient to get a rabbit through the worst of post-operative pain. Some vets prefer not to use Banamine because it has been associated with ulcers and gastric problems in other species. We have used it for over eight years on several hundred rabbits and have not experienced this. In light of the above, it is apparent how important it is to choose a veterinarian experienced with rabbit surgeries. Particularly in rural areas, your regular veterinarian may not be experienced with rabbit surgery and may refer you elsewhere. If an upcoming surgery is not an emergency (such as spay or neuter), you will have the opportunity to make inquiries in selecting a vet. However, it is always a good idea to have a veterinarian already identified, particularly if surgery should be urgently required. What type of anesthesia is used? Are sedating injections routinely used before gas induction and if so, are they also used on rabbits? If used on rabbits, can you opt out? What type of suture material will be used – internal or external? Will you need to return for suture removal? Are pain medications readily used on rabbits? Are they sent home and how are they administered? Does the vet ask that water and/or food be restricted (fasting) prior to or following surgery? Is your rabbit kept overnight following surgery? Are antibiotics given during or after surgery? How often does the vet do this type of surgery? When scheduling non-emergency surgery, select a time when you will be available to more closely observe and care for your rabbit. Keep in mind your vet’s office may not be open on weekends or holidays should you have any questions or complications arise. Clarify if any emergency phone numbers you are given reach your vet directly or if they are referrals to emergency clinics. Emergency clinics frequently do not have veterinarians familiar with rabbit medicine. Do not withhold food (fast) or water prior to surgery. Because this practice is important with dogs and cats, it is a common misconception regarding rabbits. Dogs and cats can vomit under anesthesia and if any is aspirated (breathed into the lungs), a serious medical condition can result. Rabbits are physically unable to vomit, which is why hairballs are so dangerous. Therefore, withholding food is unnecessary. Rabbits can however, experience nausea from anesthetic agents. Offering a large meal within a couple hours of surgery is not a good idea. We prefer to feed normally. Most of us give pellets at night but do skip them the morning of surgery if this is when they are usually given. Hay and vegetables are okay. If your veterinarian’s staff gives you instructions to fast or withhold water prior to (or after) surgery it would be a good idea to clarify if this is the standard pre-surgery instruction for all animals. 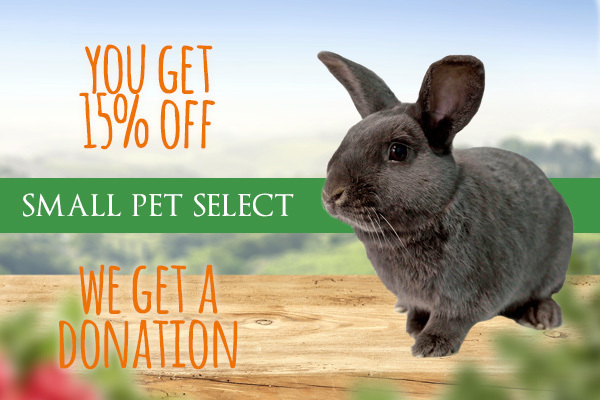 Ask the staff to check with the veterinarian if this is a recommendation specifically for rabbits. If it is, you may wish to reconsider your vet’s familiarity with rabbits. Most vets will offer the option (for an additional fee) of having a pre-operative blood panel done immediately prior to surgery. This panel can alert your veterinarian to health conditions that are not yet observable but which could increase the risk of surgery and impede recovery. Additionally, a blood panel can alert you to a health condition that needs treatment, though it may not preclude surgery. It can also serve as a baseline for a future test you might do as part of a routine physical. It is offered for any rabbit undergoing surgery and should definitely be considered if your rabbit is over two years old. Rabbits are fast healers and may act and feel normal after only a day or two. However, it is a good idea to keep your rabbit confined for up to a week to prevent excessive running and jumping, especially if abdominal surgery was performed. Internal tissues need adequate time to heal. By using an experienced rabbit veterinarian, most rabbits will not experience any complications due to surgery. Knowing how to prepare your rabbit prior to surgery and what to do for your rabbit’s post-surgery care, gives your rabbit the best possible chance for a non-eventful recovery. Unless our rabbits require day(s) of ongoing post-surgery veterinary care we are unable to provide ourselves, we prefer to bring them home the evening after surgery. Veterinarians in our area do not have 24-hour staffing. Therefore, animals left overnight at a clinic will go 8-10 hours without any care or monitoring until staff arrives the next morning. Bringing your rabbit home alleviates the stress of being in a strange environment and allows you to monitor their condition during the important first post-op day. You should provide a clean cage with soft bedding in a warm, darkened environment. 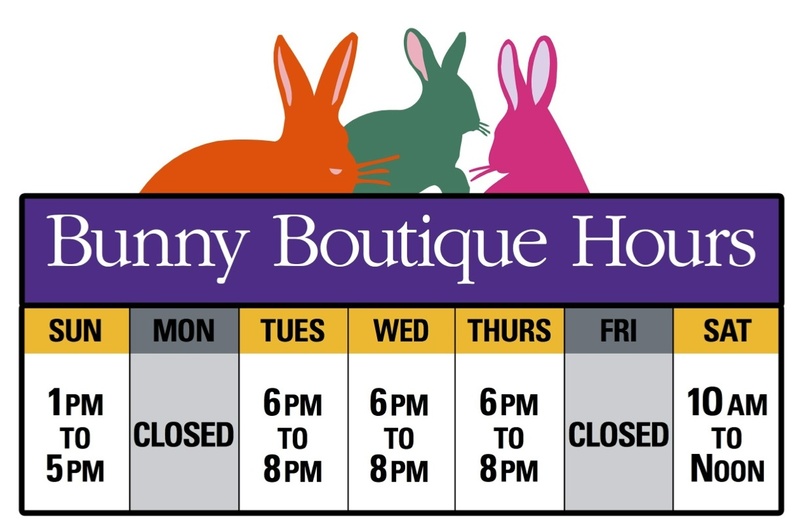 If your rabbit’s cage is normally in an area with a lot of activity, you may want to move it to a calmer area for a few days. If your rabbit is normally uncaged, you will probably want to keep him confined to prohibit over activity. This also allows you to more easily monitor eating and elimination amounts. Expect your rabbit will be feeling the effects of anesthesia as well as discomfort and will not be his usual self. Try not to lift or handle your rabbit except to check sutures or provide necessary care as instructed by your vet. After most surgeries it is desirable to get a rabbit eating as soon as possible to prevent a shutdown of the digestive system (gut stasis). Fresh vegetables, hay, and pellets should be made available upon return home. We usually offer alfalfa since it is a rich, high fiber treat that may induce an otherwise reluctant rabbit to eat. Rabbits who begin eating soon after surgery usually have the quickest recovery. Your rabbit may not resume her normal eating habits for several days. As long as some food consumption begins within 24 hours, this is okay. If your rabbit has not eaten anything in the day following surgery, your veterinarian needs to be consulted and you will need to begin force-feeding. One product developed as a complete balanced food for force-feeding is Critical Care by Oxbow Hay Company. You may want to obtain this if syringe feeding is required. Provide a bowl of water even if your rabbit usually drinks from a bottle. It is important your rabbit re-hydrate herself following surgery. We frequently find a rabbit will consume more from a bowl since it takes less effort then lapping at a bottle. Using an electrolyte product such as KaoLectrolyte™ or Pedialyte™, particularly the flavored varieties, may help induce a reluctant rabbit to drink, but it is not required. Monitor your rabbit’s body language for pain. Grinding teeth, unusual body position, or decreased responsiveness may indicate pain. Your rabbit may show these signs later in the evening after surgery, once the effects of anesthesia fully wear off. Most of our rabbits who undergo surgery usually show some signs the first night. Administer as necessary the pain medications you have previously discussed with your vet. Some rabbits will require pain medication the following day(s) after surgery depending upon the type of surgery and your individual rabbit. We have found that rabbits, like people, are individuals and that pain thresholds can vary considerably. One standard does not fit all. A rabbit in pain is less likely to eat or drink adequately, thereby slowing down or severely impairing their recovery. A rabbit in severe pain may go into shock and die. Keep close watch on your rabbit’s food and water consumption, as well as output, until back to normal. If normal eating or drinking does not return after a few days consult your vet. Also, if your rabbit’s eating begins to return to normal then lessens, consult your vet immediately. This can be a sign of infection, hernia or adhesion formation, and needs prompt medical intervention. Check the incision daily for a week or until non-dissolvable sutures/staples are removed. When your rabbit was discharged you should have been provided with information on incision careâ€”any unusual redness, swelling, warmth, discharge or odor needs to be brought to the vet’s attention. If intradermal sutures were used, you may notice small lumps under the skin. These are probably the normal suture knots and will dissolve over several weeks. If your rabbit licks excessively, to the point of opening up the incision, your vet may need to put the rabbit under anesthesia and re-close the area. If intradermal sutures were not used the first time, ask your vet to use them when re-suturing. Some vets will use an Elizabethan collar (e-collar) to prevent further irritation of the area. Rabbits do not tolerate these collars well and may refuse to eat while they are on. In order for your rabbit to eat, you may need to remove the collar for a while, in which case you will need to monitor your rabbit constantly. Your vet may have alternate ways of keeping a rabbit from excessively licking its incision – some have used tube socks rolled up and fastened around the neck or cut pantyhose legs or socks to form a tube-like body stocking over the rabbit torso and abdomen. Your veterinarian may have given a dose of antibiotics during surgery to prevent infection during the procedure. We do not continue antibiotics after routine surgeries (such as a spay or neuter) unless infection or other medical conditions warrant. Use of antibiotics can negatively affect gut flora at a time when your rabbit is not eating properly and can lead to complications. By using a knowledgeable rabbit veterinarian, most rabbits will not experience any complications due to surgery. Knowing how to prepare your rabbit prior to surgery and what to do for your rabbit’s post-surgery care, gives your rabbit the best possible chance for a non-eventful recovery. © House Rabbit Resource Network 2003. Permission to reprint required.